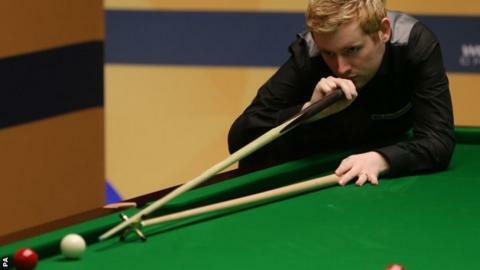 Ben Woollaston has described his third-round UK Championship defeat against Ronnie O'Sullivan as "embarrassing". The Leicester potter, 27, led the four-time UK champion 2-1 after a brilliant break of 87 in the third frame. But Woollaston told BBC Sport: "I played a good third frame but just seemed to lose my concentration after the interval. I had my chances but couldn't seem to do anything right. "I couldn't have played worse. At times it was embarrassing to be out there." World number 27 Woollaston, whose best performance at a ranking event saw him reach the quarter-finals of the Players Tour Championship finals in March 2013, added: "If I had played well I think I could have won but I was really poor. "I had my chances and potted some really good balls to get in, I just couldn't do anything with it." Wollaston beat Michael Wasley and Tony Drago to reach the third round.